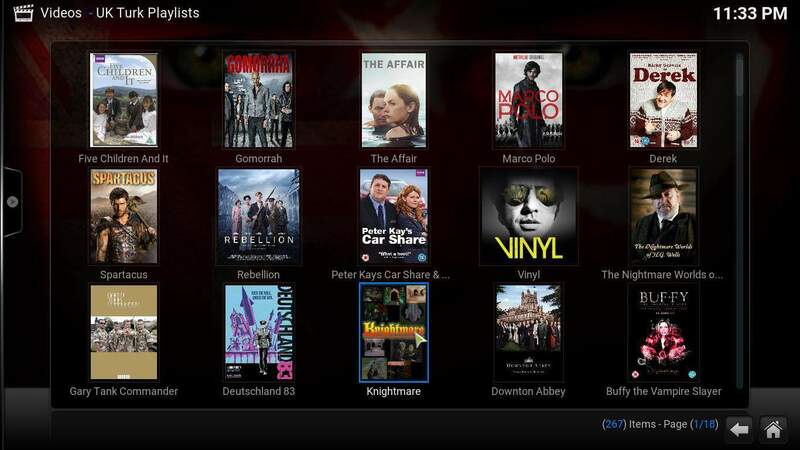 With Kodi UK Turk addon you will get access to lots of content. First, add a new file source. Go to Settings (clicking the small cog on the main menu). Then select File Manager. Double click on the Add Source option. A dialog will pop up. Type https://addoncloud.org/ukturk/install as the path and a name for the source like UK Turk. Now click OK. Fill in the information as shown when adding your UK Turk file source. Next, head to the main menu and click on addons. A new menu will appear. Click the box icon. Then click on the Install from zip file option. A dialog will appear. In this dialog, look for the UK Turk source you added earlier. Once you click it, you will see a zip file which you shoud click. Click on the zip file in order to install the UK Turk repository. This installs the UK Turk addon repository. To install UK Turk Kodi addon, simply go to the main menu, then click Addons. Next, click the box icon as before. But select Install from repository instead. Find the UK Turk addon repository and click it. In order to install UK Turk Kodi addon, select Video add-ons from the menu that appears. Then click on UK Turk Playlists. On the next screen click Install. Click the Install to add the Kodi UK Turk addon to your Kodi system. You will see this notification once the UK Turk Kodi addon is successfully installed. Kodi UK Turk Plugin: easy to install and use. That's it! You're ready to start streaming lots of content with this addon. 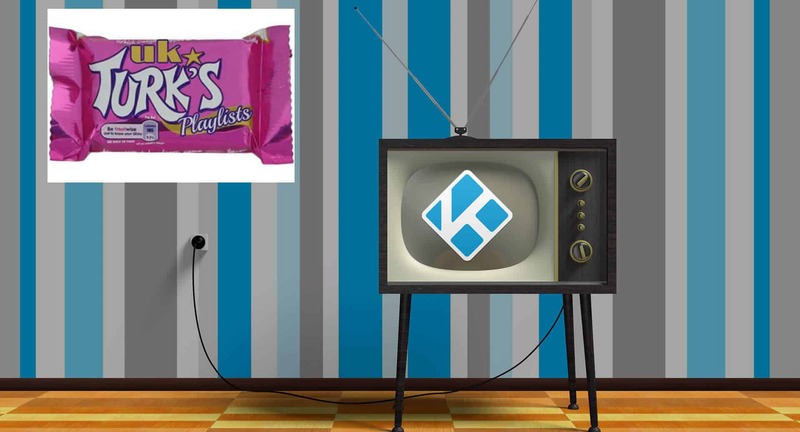 If you want to increase your content options even more, consider installing one of the 10 best Kodi movies addons or these 10 best Kodi live TV Kodi addons, to bring live TV channels and the best movies to your media center. Interested on watching the Olympics instead? Kodi lets you bring all kinds of content directly to your living room. You can take your media center to the next level with Kodi and our easy guides and tutorials!